Letter replacement service required! 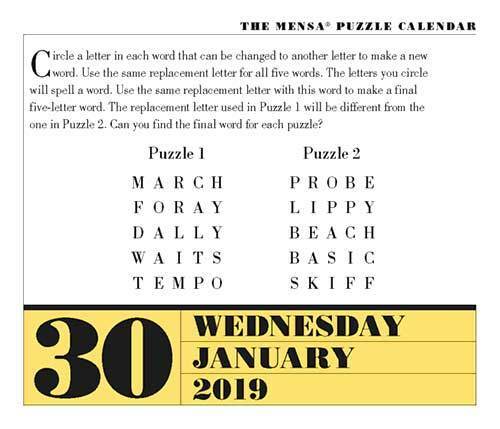 Solve today's Mensa® Brain Puzzler. So do you have the sense... or the cents... to solve today's puzzle? View the solution here and browse all of our Games, Puzzles & Trivia calendars.